Did Saul Bass Direct the Shower Scene In Psycho? The true director of the shower scene is a bit of a mystery, though not one worthy of Hitchcock. 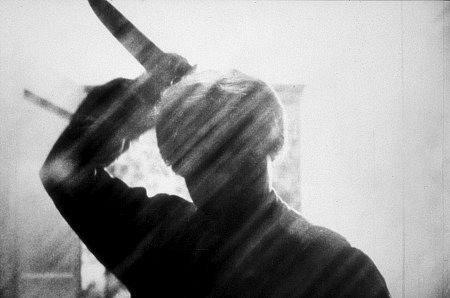 Who directed the infamous shower scene in Psycho? Yesterday, Open Culture highlighted Vashi Nedomansky’s recent attempt to answer this question in video-essay form. Saul Bass did the storyboards for the scene, and Nedomansky has placed those storyboards alongside the shots that appear in the film. For what it’s worth, the only scene (outside of the opening titles) that Hitchcock openly admitted Bass’ direct involvement with is the famous staircase murder of Detective Milton Arbogast (Martin Balsam). Hitchcock told François Truffaut that while he “let [Bass] lay out the sequence” of Arbogast going up the stairs, and told his cameraman and assistant to shoot using Bass’ drawings (Hitchcock was out sick that day), he ultimately decided that the scene wasn’t working. He scrapped Bass’ montage, and reshot the sequence.